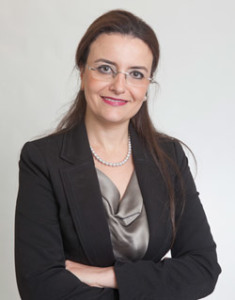 Rym Ayadi is Honorary Professor at CASS Business School and Member of the Centre for Banking Research (CBR) at the City University in London, Founder and President of the Euro-Mediterranean Economists Association and Founder and Scientific Director of the Euro-Mediterranean Network for Economic Studies (EMNES). She is Member of the European Shadow Financial Regulatory Committee (ESFRC) and at the European Banking Authority Banking Stakeholders Group (BSG). She is expert member of several high-level expert groups in the European Commission (Financial Services Users Group (FSUG)), external advisor to the European Parliament (Economic and Financial Committee and Committee on Foreign Affairs), Parliamentary Assembly of the Mediterranean (PAM) and the Union for the Mediterranean (UfM) and invited expert in international organisations (OECD, IMF and others). She is Senior Research Fellow at the Euro-Mediterranean University (EMUNI) and Member of the Forum for Euro-Mediterranean Innovation in Action (FEMIA). From 2014 to 2018, Rym served as Professor of International Business and Finance at the Department of International Business, Director and Board Member, Director of the International Research Centre on Cooperative Finance (IRCCF) of the Alphonse and Dorimène Desjardins Institute for Cooperatives at HEC Montreal, a Canadian Business School in Montreal. From 2001 to 2014, she acted as Senior Research Fellow and Head of Research of the Financial Institutions Unit at the Centre for European Policy Studies (CEPS), a policy think thank in Brussels. From 2009 to 2013 she acted as Scientific Director of the International Research Network on the Prospective Analysis in the Mediterranean (MEDPRO – Mediterranean Prospects Research Network).